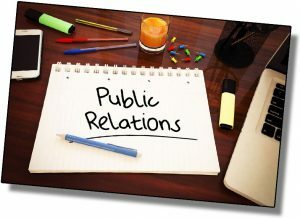 Bobby Chalmers Public Relations (BCPR) is a new, but creative, full-service public relations firm perfectly built for today’s fast-moving communications environment. We combine over a decade of traditional media relations and corporate communications experience with our in-house Internet Public Relations and online marketing team. To our clients, we offer critical thinking and strategic communications program recommendations based upon our collective industry knowledge, experience and creativity. We leverage this skill set to create customized programs that deliver meaningful results, always with a view to every client’s bottom line. Our programs span a broad spectrum of marketing and communications disciplines. Each targets maximum results to create lasting brand impressions, according to our clients’ individual situations. Our areas of expertise include media relations, B2B and trade relations, events strategy and production, digital and social media marketing, website strategy and production, B2C promotions and advertising.